Jet Hub provides you with the ability to install the Jet Excel add-in quickly and easily. Once you have logged in to the Hub, click the download symbol (to the upper right). Once that download is complete, run the installation program. 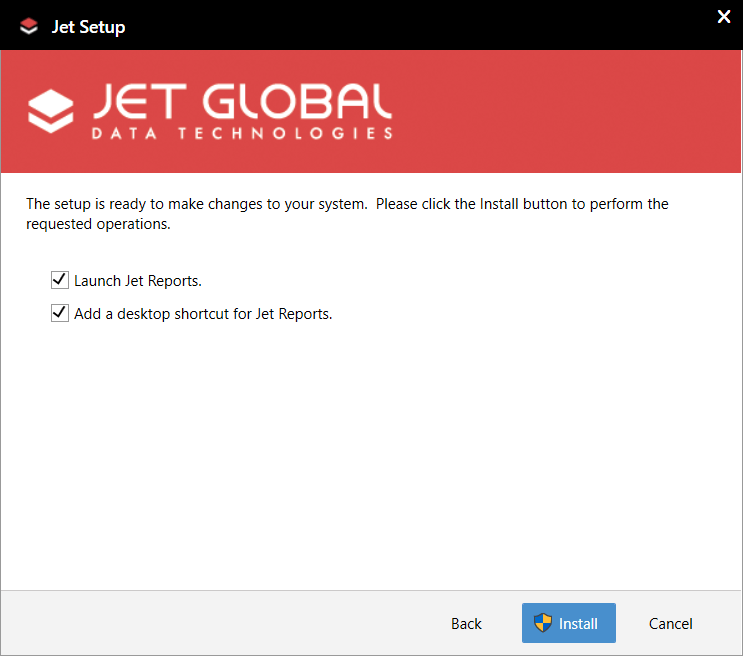 As part of the installation process, you have the option to automatically start Excel (once installation if finished) and/or to create a desktop shortcut to start Jet Reports in the future. you have the option to start Excel with the Jet add-in and/or to add a desktop shortcut to start it in the future. You are now ready to use the Jet Excel Add-in. All your settings are already configured. Your connection to settings used by Jet Hub is already configured – so you have immediate access to all of your data sources. This eliminates the need for you to know where your settings are stored or how to set up a data source. The Excel add-in is automatically activated so you do not have to obtain or enter your license activation code. The version of the Excel add-in always matches the version of Jet Hub, ensuring compatibility. When the version of Jet Hub is upgraded, you can quickly and easily repeat the process to upgrade your Excel add-in and seamlessly benefit from all the latest functionality.